Having dyslexia can be tough, but the breadth of innovative tools available to help with literacy tasks makes dyslexia a lot easier to manage than it used to be. Below is a limited list of high-tech assistive technology (AT) to help dyslexics with literacy tasks. But first, an important consideration: Be aware that simply choosing a great tool and giving a student access is not going to solve any problems. Adults must carefully consider the parameters of the task the student struggles with as well as the setting. Speech-to-text software is great, but if the student doesn't have a quiet place to go when it’s time to dictate his ideas, it’s not going to be a successful tool. Similarly, an app that reads text to a student won’t help if she’s too embarrassed to be the only one in the class using headphones. After selecting the right AT, parents and educators must realize that even today’s tech-savvy youth need lots of training. Would-be users have to understand all the ins and outs of the tool they’re given, including what its capabilities are (and aren’t) and when and how to use it. Plenty of kids have given up on technology that would have been extraordinarily helpful because they couldn’t understand how it could work within their specific academic requirements. The AT suggestions we’re sharing below are great for students, but even individuals with dyslexia in the professional world may benefit from them. Snap&Read is an excellent text-to-speech program. A small sampling of the many sites it reads aloud include Google docs, Moodle, Bookshare, Evernote, The New York Times, and even social media sites like Facebook and Instagram (which is a great way to get reticent kids to start experimenting). Snap&Read also reads screenshots and PDFs. This software has some other capabilities beyond its reading services. For example, the Simplify tool provides definitions for difficult words. With the Capture tool, users can enter notes on what they read (either by typing them or copying and pasting from the text), which is useful for writing papers. Snap&Read also words in other languages. With a letter certifying that a person needs their services, both Learning Ally and Bookshare provide users with audio versions of texts. Their libraries include more basic selections, like audio versions of novels, and hard-to-find texts, like periodicals and textbooks that students can listen to. Though on the surface Learning Ally and Bookshare are similar, there are some important differences. 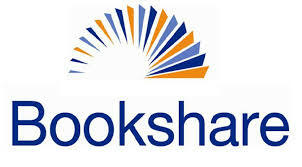 There is a yearly fee associated with Learning Ally, for example, while Bookshare is free. Texts on Learning Ally are read by people, whereas Bookshare uses computerized voices; this sounds like a negative aspect, but some learners find that they like the computerized voices better because it is easier to modulate their speed and pitch. Cost: Bookshare is free, and Learning Ally costs $119 a year. C-Pen is a small device about the size of a highlighter that users can use to scan text, either a single word or whole sentences. 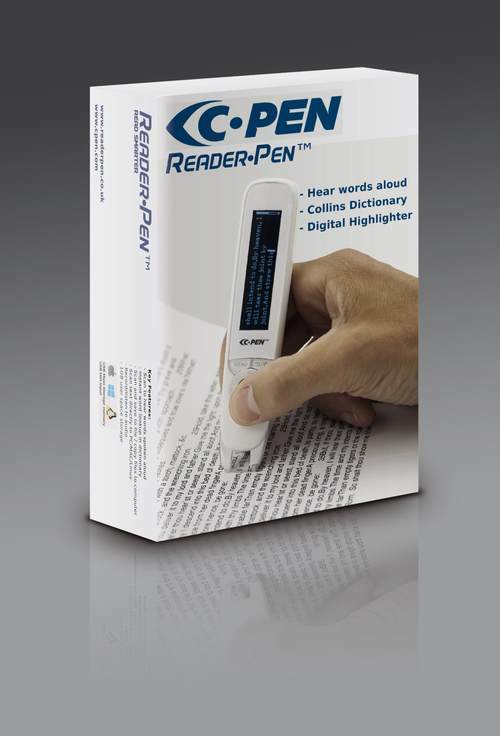 The pen will read the scanned section aloud (it has a headphone jack for use in classrooms) in a computerized voice that users describe as natural. The pen can also provide definitions of words. Importantly, the pen accommodates both left- and right-handed users. Scanning takes a bit of practice, and the pen is best suited for reading a word here and there rather than large blocks of text. This app, which works only on iPhones, is a combination scanner and reader (unlike other apps that only scan but require a separate app for reading). It can read almost anything, and its portability is a huge boon. Users can scan passages they need for school, like worksheets and sections of books, but it’s a handy tool for reading tasks in the “real world,” too, and can be used for menus, maps, signs, time tables…. What really sets Grammarly, apart, though, is the detailed explanations it provides about mistakes, so users can learn as they’re editing. It can also generate weekly progress reports, which can be motivating for students. Other neat features are genre-specific style monitors and a plagiarism detector. Cost: Grammarly offers a basic version, which includes only basic checking and does not give access to explanations, for free. The premium version, with all the bells and whistles, costs $139.95 a year. Whether students use Dragon software, Google Read&Write, or simply dictate into their phones, there’s more to text-to-speech than you may think. Here is a useful guide to training students to use speech-to-text software successfully; it takes some time to get it right, but the results are worth it! Probably the biggest advantage to using Google Read&Write is that users don’t need to use multiple forms of AT. GRW is the total package, offering both text-to-speech and speech-to-text. It works with documents, web pages and common file types in Google Drive (including: Google Docs, PDF, ePub & Kes). Like many good text-to-speech programs, GRW highlights each word as it’s read, making both following along and editing much easier. The dictionary is quite handy. For typists, the word prediction feature takes some of the heavy work out of spelling. And distractible users will be grateful that GRW simplifies and summarizes text on web pages to remove ads and other copy. Cost: For an individual license, GRW is $145 a year, though many school districts provide it as a free accommodation to students with IEPs. This listserv for people who are interested in AT in education is free to join (and we recommend that you do!). Contributors include assistive technology specialists, students in higher education, educators, vendors, and parents. Send out any questions you have to the group —none are “silly!”—and brace yourself for a flood of knowledgeable responses. (You can adjust your email preferences at any time if it gets to be too much.) The group requests that users be mindful that every email sent goes to 4,000+ users, so it’s a good idea to respond with private messages when appropriate. There are lots of good resources on their website, too. Look for one more Dyslexia Awareness Month post next week! We’ll explore the emotional toll dyslexia can take and offer suggestions to parents and educators.